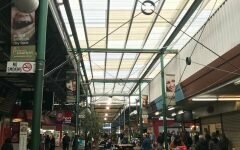 If you have have asked me a couple of weeks ago whether I had ever visited Maribyrnong, my answer would have been what, where? I had heard of the suburb, but never found reason to visit that part of town until Imbue Food and Wine opened up. Westsiders, you have a new local for modern dining! 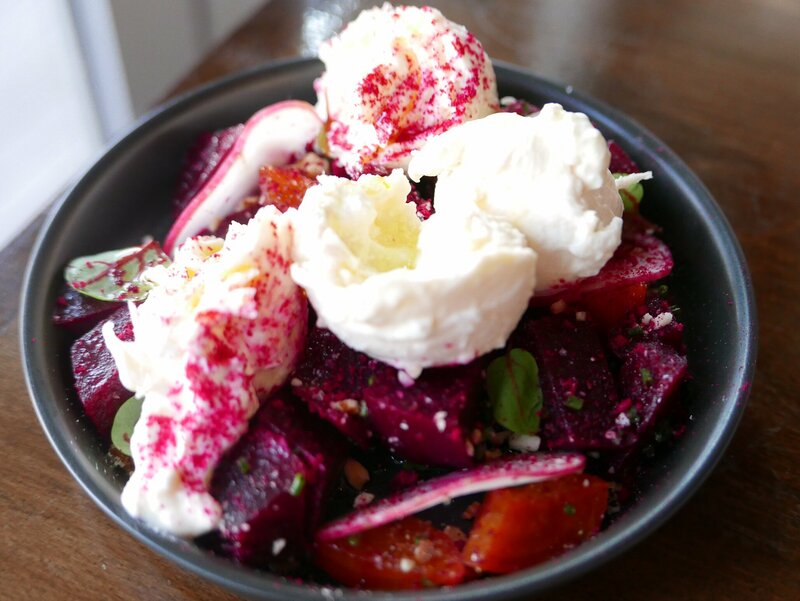 Unique to its area, it is fitting that the co-owners hail from Maribyrnong and wanted to bring some modern flair and precision to a somewhat lacking dining scene over that side of town. Simply admire the mural on the wall that tells of their journey and you will see how much they love their town and the passion they bring to the area. 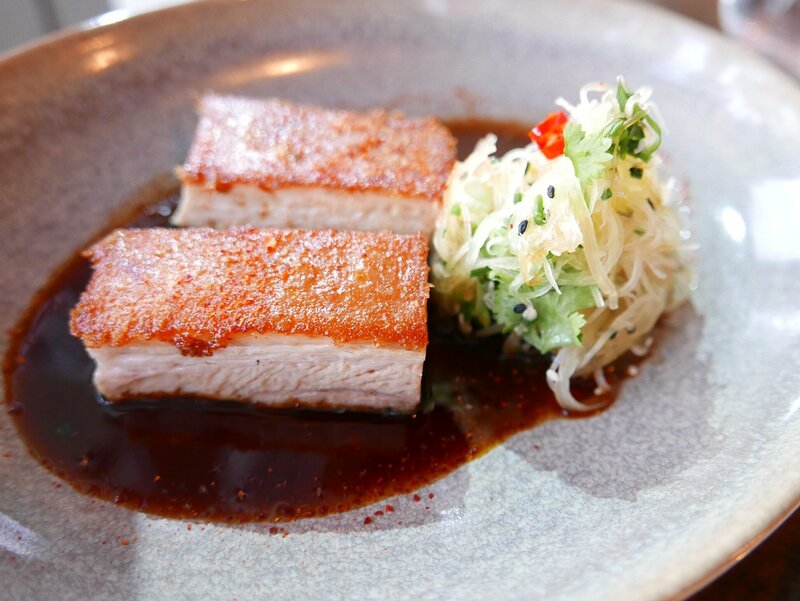 Head chef Phong Nguyen brings modern simplicity to the menu- clean, flavoursome dishes that don’t mess around. 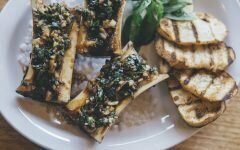 The focus is on fantastic produce, and letting the ingredients speak volumes without having to play around with them too much. With subtle Asian influences, the fusion style menu has something for everyone. My fussy palate was impressed, as well as my more simpler ‘pub-loving’ boyfriends tastebuds. 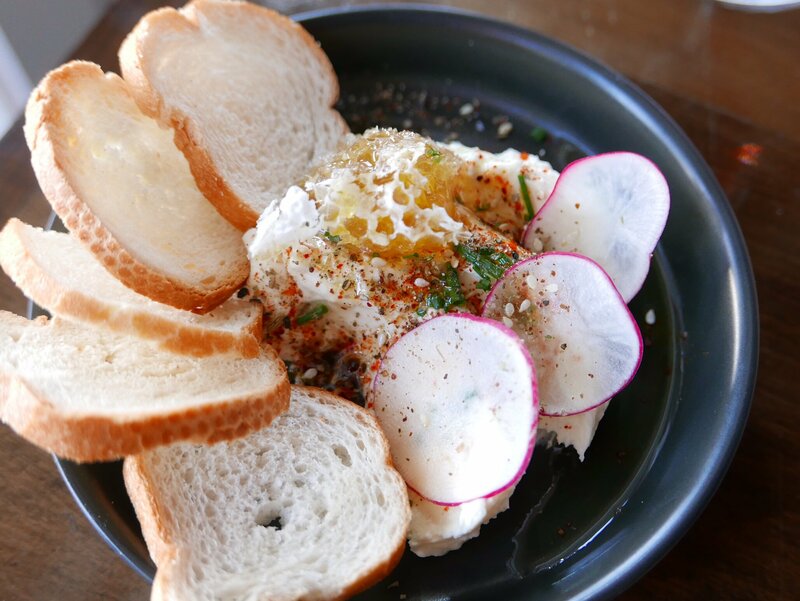 Funnily enough, the stand out dish was the simplest one, whipped feta with honeycomb and dukkah served with crusty bread. This dish was everything I look for in starting a meal- flavoursome, interesting and unique, something to excite the tastebuds. The dish was almost created accidentally, but has fast become staff and customer favourite. 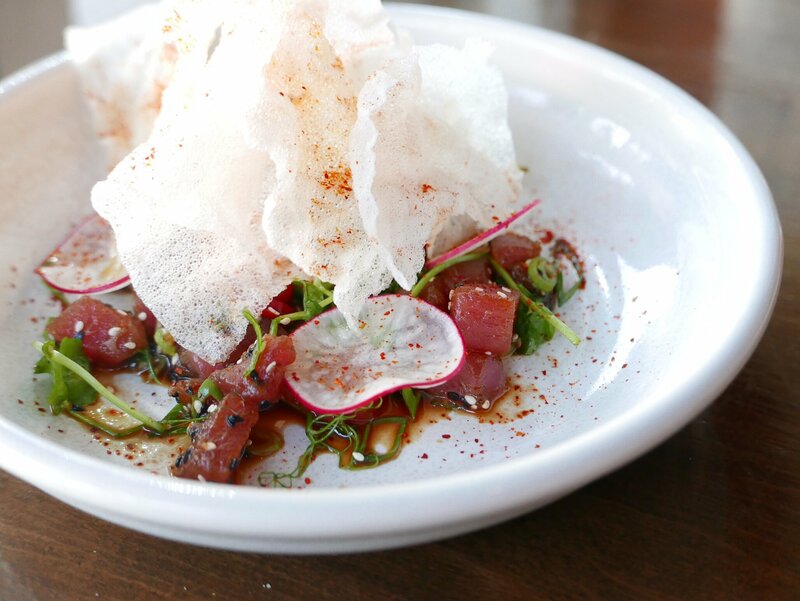 The sharing style menu features smaller share plates such as a simple but divine Burrata with roasted beetroot and almonds, a perfect roast pork belly, and my favourite of the small plates, raw tuna with ponzu, spring onion, chilli and ‘prawn cracker style’ rice crisps. 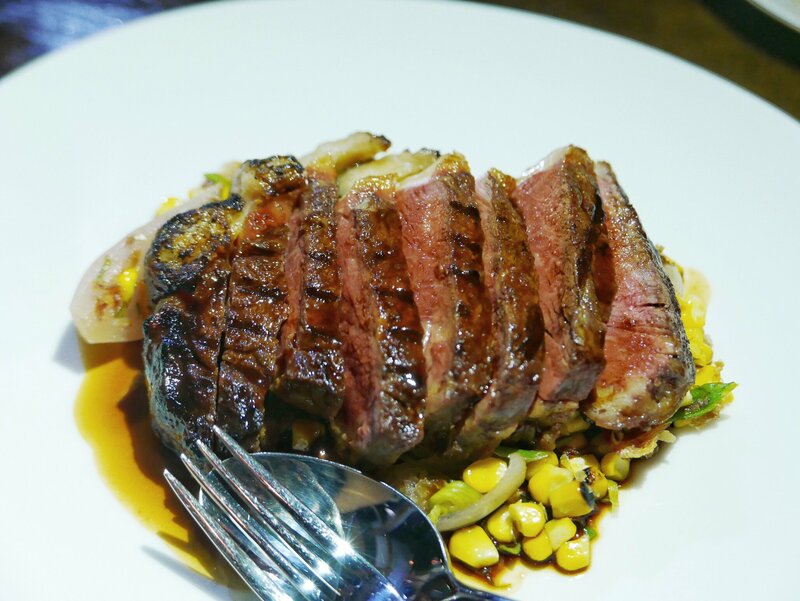 The larger plates consist of more simple produce driven dishes, such as the Mexican/Asian fusion dish of Great Southern Porterhouse (served delightfully medium-rare) with charred corn, spring onion and chilli jus and are complimented by a range of side dishes. 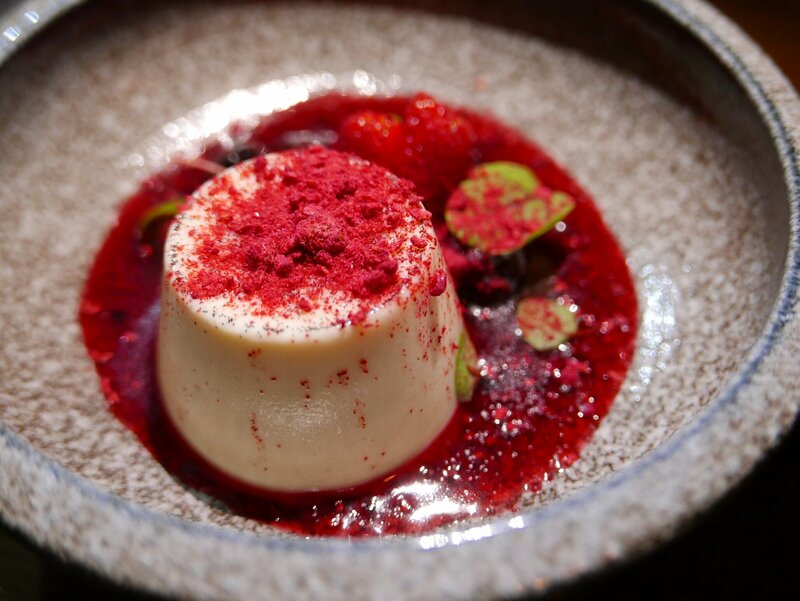 Desserts are crowd favourites such as Panna Cotta, Black forest cake or Almond Custard with a modern flair through the addition of more boutique ingredients such as freeze dried raspberries or praline. Restaurant manager and co-owner Vinh will happily match your meal with a range of local wines, including some of the best reds we have tasted. 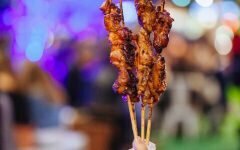 The best part about Imbue Food and Wine? It won’t break the bank. Dinner in the low lit, ambient and intimate space (this place SCREAMS date night!) will set you back $40 per head for a 3 course tasting menu ($30 extra for matched wines) or $60 for a five course tasting menu ($50 for matched wines). There aren’t many places in Melbourne that showcase such finesse and attention to detail, as well as gorgeous produce, for under $100 a head. Westsiders, get down there- and the rest of Melbourne, you just may find this place is worth a bit of a drive. 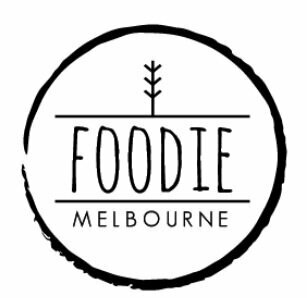 Please note: Foodie Melbourne dined as a guest of Imbue, but all opinions are genuine.